Recently there’s been a lot of talk (including from me!) about the score to a recent 80s-throwback horror show on a popular streaming platform. While I do love attention being paid to cool, darkly moody synth music, I do want to point out that there is a ton of cool, darkly moody synth music already out in the world. 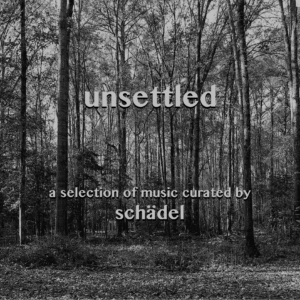 To that end, I give you: unsettled. To capture the mood I was going for, I tried to stick to a few criteria. I looked for prominent, dark synths, often arpeggiated. I tried, for the most part, to avoid other instruments (especially drums, though some do appear here) and vocals. Reverb always helps, too — in fact, I cheated a bit and drenched one of the drier tunes in reverb myself. Don’t worry, though — after all that dread, I did allow the last tune to be a little uplifting, so you’ll be able to continue on with your day, a little unscathed.